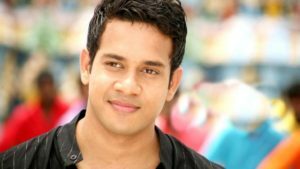 Bharath has signed a new project. It is a Tamil-Telugu bilingual titled ‘Kadasi Bench Karthi’. Directed by Ravi Bhargavan, the film will also mark the Kollywood debut of Punjabi actress Ruhani Sharma. Bharath further informs that shooting for the movie will be held in Chennai, Hyderabad, Bengaluru and some portions will be shot in Amalapuram. Shoot has already commenced in Hyderabad. This apart, the actor is busy with ‘Kadugu’, directed by Vijay Milton of ‘Goli Soda’ and ‘Paththu Endrathukulla’ fame. The movie has Rajakumaran as the protagonist and Bharath in a negative role. It is expected to hit the floors soon.